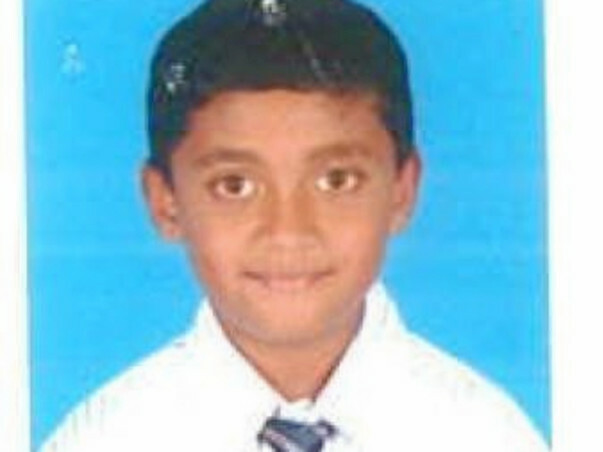 Nikhil R, a 7 year old boy belonging from rural Bangalore suffering from ANAPLASTIC EPENDYMOMA (a rare type of brain or spinal cord tumour). He is undergoing chemotherapy & has also undergone surgery. The family has already spent. ₹4 ,00,000/- on his surgery & other treatments. 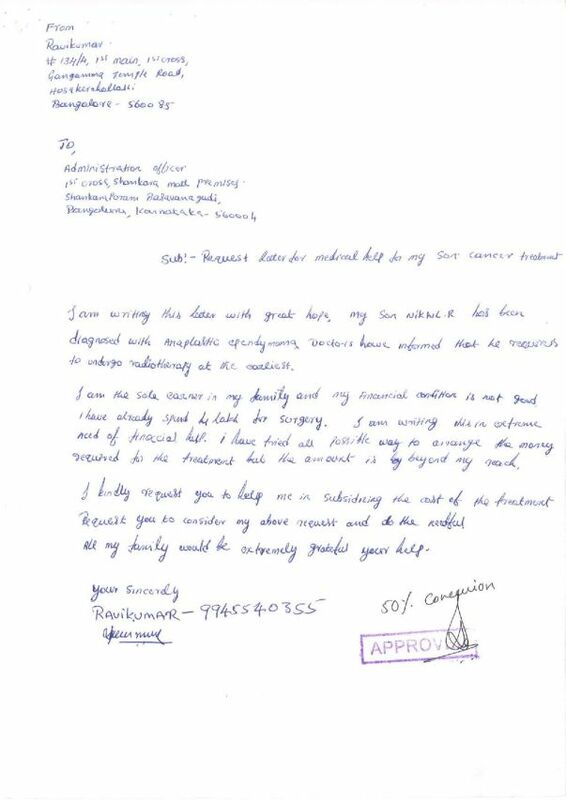 Nikhil has been advised for further radiotherapy to get rid of the cancer. 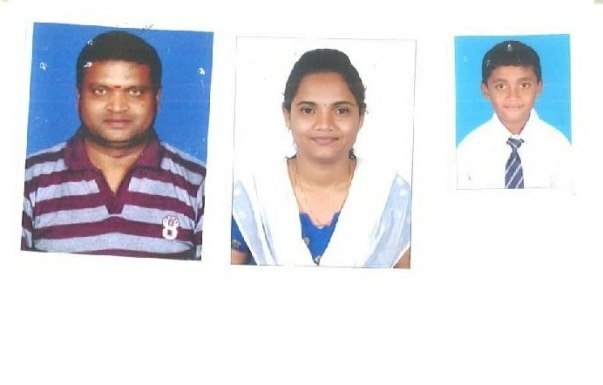 His father (Mr. Ravi Kumar) works for a Pvt Organisation with an income of ₹65,000/- which does not suffice the requirements as he's the sole earner of the house. 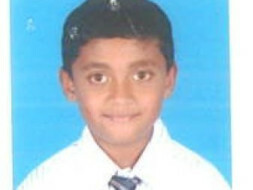 His mother (Pavithra) is a housewife & has a younger brother (Nischay) who is studying. Nikhil needs to be treated for another 5-6 years. 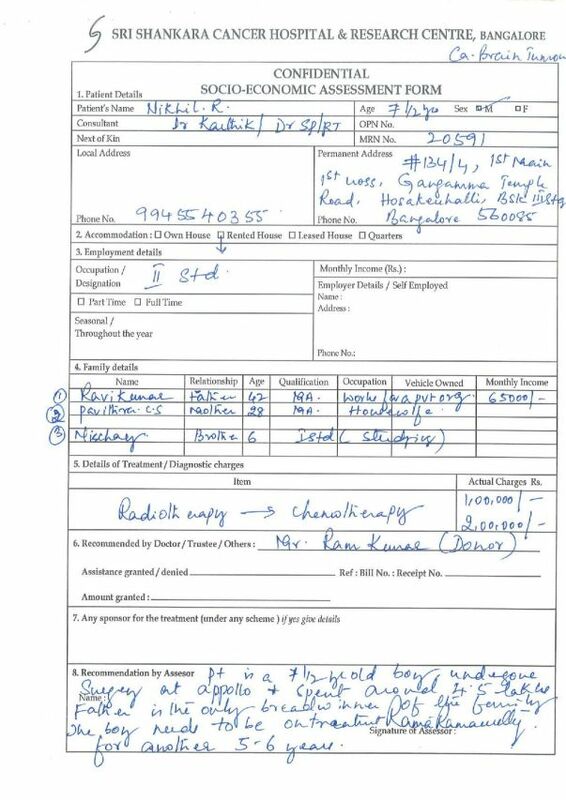 His radiotherapy and other expenses would cost another ₹4,00,000-₹5,00,000. Bob The Helper in association with Shankaracharya Cancer Hospital is aiding his treatment. We request you to join us to support Nikhil for his speedy recovery.